This dish is a perfect way to enjoy the ever loved noodles! With so many vegetables and limited use of sauce, this dish is such a healthy take on the regular noodles that we usually consume. 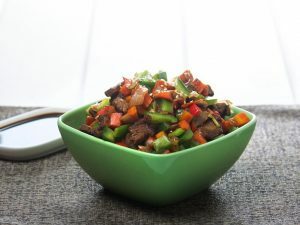 It is a fairly simple preparation with lovely flavors, something you can prepare even after a tiring day. So, bother no more to call in and order food or seek comfort in takeaways. 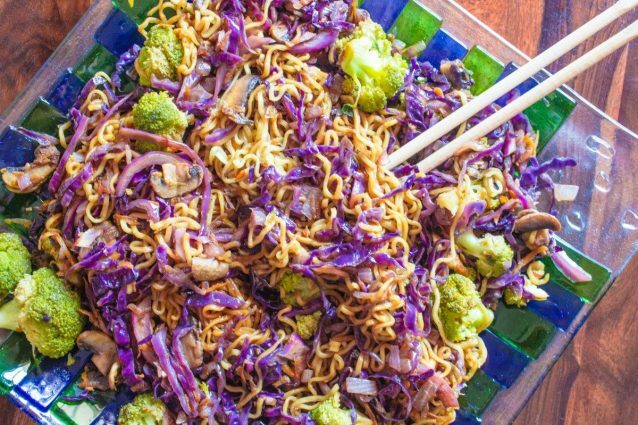 Just store ample variety of veggies and few packs of ramen in your kitchen to create this lovely dish with fresh flavors in a much more hygienic and pocket friendly way at your home. Add 1 tablespoon olive oil in a large non stick pan and heat it over medium flame. Add the chopped red onion, chopped green and white part of green onion, minced garlic, and shredded red cabbage to the hot oil and cook everything until the cabbage is tender while stirring the vegetables continuously. 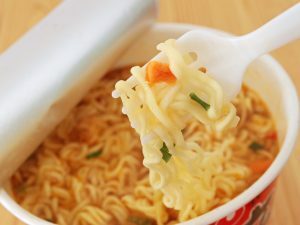 Meanwhile, boil the ramen noodles in ample water with about ½ a teaspoon of salt, until the noodles are just about tender or for 8 to 10 minutes. Drain the noodles through a sieve, rinse with water once and keep the noodles aside. Add shredded carrot, sliced mushroom and steamed broccoli to the pan. Cook the vegetables for another 3 to 4 minutes or until mushrooms are tender while stirring continuously. Add the remaining olive oil, rinsed and drained ramen noodles, soy sauce, red pepper flakes, and grated ginger to the pan and toss everything well. Season the stir fried noodles with salt and black pepper powder to taste and toss everything again carefully so that you do not break the noodle strands. Serve the noodles and enjoy! You may add a few stripes of leftover grilled chicken or grilled fish to the preparation to create your personalized version of the ramen noodles. Alternatively, add a sliced omelet to get the egg version as well. Do not over cook the noodles, refer to the package instruction to cook.